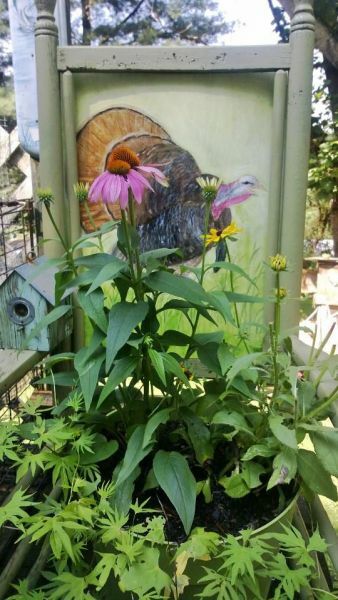 My Aunt was cleaning out the attic and gave me an old rocker that was my great Grandmothers and said she saw a pic in a magazine of one that was used as a planter and thought I might use it.I'm sure she never thought I'd make a back for it with a hand painted turkey scene. I was looking at it today and thought what would my Great Grandmother think of me being a turkey hunter or of how I turned her old rocking chair into a planter. I can just imagine all the time she spent in this rocker rocking grandbabies. If it had been in restorable shape I probably would have restored it,but still has good memories as a planter.